A 6-year-old spayed miniature schnauzer is presented with acute vomiting, anorexia, and small-bowel diarrhea. The patient has a history of hypertriglyceridemia and calcium oxalate urolithiasis. She is accordingly fed a low-fat, protein-restricted diet; receives fish oil supplementation; and is treated with gemfibrozil and hydrochlorothiazide. Physical examination reveals delayed capillary refill time, obtundation, and cranial abdominal pain. Clinicopathologic abnormalities include markedly increased alanine transaminase and alkaline phosphatase concentrations, marked (fasting) hyperglycemia, and glucosuria. Point-of-care canine pancreatic lipase screening test results are abnormal. A hypoechoic pancreas with hyperechoic peripancreatic fat and regional distension of the proximal duodenum are identified on abdominal ultrasonography. Pancreatitis and diabetes mellitus are diagnosed, and IV fluid therapy is initiated. Correct ResponseProceed with CautionGemfibrozil reduces circulating triglyceride levels by reducing production and enhancing clearance. It is used in conjunction with dietary modification to treat some patients with primary hyperlipidemia. The adverse effect profile of gemfibrozil mimics pancreatitis (ie, abdominal pain, vomiting, diarrhea, hepatopathy); thus, this drug may complicate monitoring of pancreatitis. In this patient, abdominal ultrasonographic findings played a more important role than potential adverse drug effects in identifying pancreatitis as the cause of illness. Gemfibrozil must be administered orally, so administration should be suspended in this dog. Because hypertriglyceridemia appears to contribute to the pathogenesis of pancreatitis, reinstituting therapy with gemfibrozil as soon as vomiting and abdominal pain are controlled is recommended. 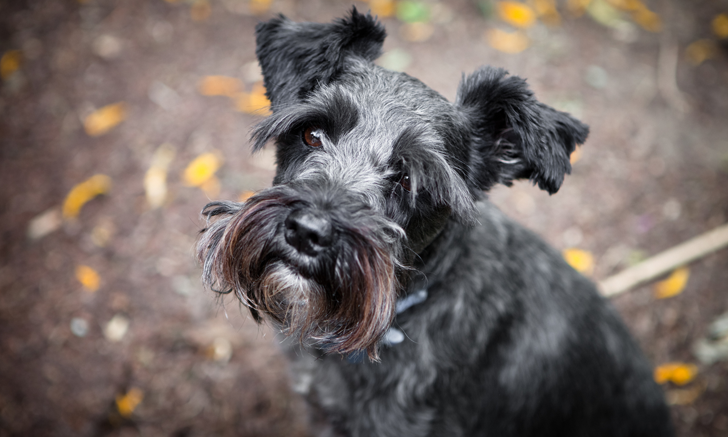 Correct ResponseProceed with CautionHydrochlorothiazide, when used chronically, reduces urinary calcium excretion and thus is often used for prevention of calcium oxalate urolithiasis, to which miniature schnauzers are predisposed. The drug may cause hypercalcemia, hypotension, or volume depletion, all of which predispose to pancreatitis. Thiazides also induce insulin resistance and may contribute to the acute development of overt diabetes mellitus in this dog.1,2 Hydrochlorothiazide administration should be discontinued during management of this dog’s pancreatitis, then cautiously reintroduced. Reinstitution of hydrochlorothiazide therapy may increase the dog’s insulin dosage requirements. Correct ResponseSafePain management is essential in the treatment of patients with pancreatitis, with opioids as the mainstay of therapy. Fentanyl administered by injection followed by a constant rate infusion or a transdermal patch for continued analgesia is recommended. Patients should be monitored for bradycardia, which may occur as a result of increased vagal tone related to abdominal inflammatory disease; constipation; and hypothermia, which may arise secondary to shock in critically ill patients with pancreatitis. Buprenorphine or hydromorphone are acceptable alternatives for analgesia and have similar adverse effect profiles. Opioids may increase bile duct pressure and—like pancreatitis and dehydration—may cause increases in serum amylase and lipase concentrations. Correct ResponseSafeIf maropitant administration does not adequately control vomiting in patients with acute pancreatitis or if apparent nausea without vomiting is evident, a serotonergic antagonist (eg, ondansetron, dolasetron), which acts at the level of the chemoreceptor trigger zone to block the emetic reflex and has antinausea properties, may be added to the treatment regimen. Correct ResponseProceed with CautionMetoclopramide is frequently used in dogs with acute pancreatitis because of its antiemetic and prokinetic effects. However, metoclopramide has relatively weak antiemetic properties, and side effects associated with its prokinetic action include nausea and abdominal pain, which may overlap with signs of persisting or worsening pancreatitis. In addition, metoclopramide may enhance pancreatic enzyme secretion and has general hypotensive effects in rats and humans and may therefore negatively impact pancreatic perfusion.4-9 Consideration of and monitoring for these potential adverse effects and maintenance of normovolemia in pancreatic patients receiving metoclopramide are advised. Correct ResponseDo Not UseAcute pancreatitis is typically a sterile inflammatory process, and bacterial translocation has not been documented in naturally-occurring pancreatitis in dogs; therefore, routine use of antimicrobial agents in dogs with pancreatitis is not indicated. In addition, amoxicillin may contribute to GI upset, as vomiting and diarrhea are potential side effects of use. Administration of oral medications should be avoided in vomiting patients, as oral administration may trigger vomiting and retention of an orally-administered drug for absorption and desired action cannot be assured. In patients with overt evidence of disruption of the intestinal mucosal barrier (eg, melena, hematochezia), concurrent bacterial translocation may be more likely, and parenteral antibiotics that are effective against potential pathogens originating in the small intestine may be considered. Correct ResponseDo Not UseThere is no evidence that suppression of gastric acid secretion is beneficial in the treatment of canine acute pancreatitis, and use of H2 antagonists is not indicated. However, proton-pump inhibitors, independent of their acid suppression activity, may offer some benefit in reducing secretion of pancreatic enzymes11 and reducing pancreatic inflammation,12 though these effects have not been demonstrated in dogs. Correct ResponseSafeThis patient has a fasting hyperglycemia and glucosuria and therefore is releasing inadequate amounts of endogenous insulin. Whether this is associated with her acute pancreatitis or she had pre-existing diabetes mellitus (that was not identified because she was already polyuric due to hydrochlorothiazide administration) is not clear; regardless, she requires exogenous insulin. Regular insulin administered via intermittent injection or as a constant rate infusion is advised in this patient until vomiting is controlled and she is eating reliably on her own, at which time she can be transitioned to an intermediate- or long-acting insulin for maintenance. Diabetes mellitus precipitated by pancreatitis (ie, reduced pancreatic insulin production and increased insulin resistance as a result of pancreatic inflammation) may resolve with the resolution of the pancreatitis; thus, this patient should be monitored for decreasing requirements for exogenous insulin with clinical improvement. However, the diabetes mellitus may not resolve because the patient may remain overtly diabetic subsequent to pancreatic injury from this episode of pancreatitis or she may have been diabetic prior to the onset of this bout of pancreatic illness. Reinstitution of hydrochlorothiazide therapy after the patient’s recovery from pancreatitis may cause an increase in her insulin requirements because of drug-induced insulin resistance. Lithell HO. Effect of antihypertensive drugs on insulin, glucose, and lipid metabolism. Diabetes Care. 1991:14(3):203-209. Guo Q, Mori T, Jiang Y, et al. Losartan modulates muscular capillary density and reverses thiazide diuretic-exacerbated insulin resistance in fructose-fed rats. Hypertens Res. 2012;35(1):48-54. Tsukamoto A, Ohgoda M, Haruki N, Hori M, Inomata T. The anti-inflammatory action of maropitant in a mouse model of acute pancreatitis. J Vet Med Sci. 2018;80(3):492-498. Sikirić P, Rotkvić I, Mise S, et al. The influence of dopamine receptor agonists and an antagonist on acute pancreatitis in rats. Eur J Pharmacol. 1988;147(3):321-326. Karanjia ND, Lutrin FJ, Chang YB, Reber HA. Low dose dopamine protects against hemorrhagic pancreatitis in cats. J Surg Res. 1990;48(5):440-443. Karanjia ND, Widdison AL, Lutrin FJ, Chang YB, Reber HA. The anti-inflammatory effect of dopamine in alcoholic hemorrhagic pancreatitis in cats. Studies on the receptors and mechanisms of action. Gastroenterology. 1991;101(6):1635-1641. Kaya E, Arslan A, Aliyazicioglu Y, Güven H, Aydin O, Ozkan K. Low dose dopamine prevents end organ damage in experimentally induced pancreatitis. Hepatogastroenterology. 2005;52(64):1250-1254. Zhang S, Peng XG, Liu CC, Liu H, Lu Y. Low-dose dopamine reduces inflammatory factors of acute pancreatitis in rats. Hepatobiliary Pancreat Dis Int. 2007;6(6):646-649. Gustafsson G. Effects of dopamine in segmental intestinal ischemia studied with dopamine receptor blockers. Acta Chir Scand. 1984;150(2):145-151. Mansfield C, Beths T. Management of acute pancreatitis in dogs: a critical appraisal with focus on feeding and analgesia. J Small Anim Pract. 2015;56(1):27-39. Waterford SD, Kolodecik TR, Thrower EC, Gorelick FS. Vacuolar ATPase regulates zymogen activation in pancreatic acini. J Biol Chem. 2005;280(7):5430-5434. Hackert T, Tudor S, Felix K, et al. Effects of pantaprazole in experimental acute pancreatitis. Life Sci. 2010;87(17-18):551-557.